PANDORA Love Makes a Family Pendant Charm. 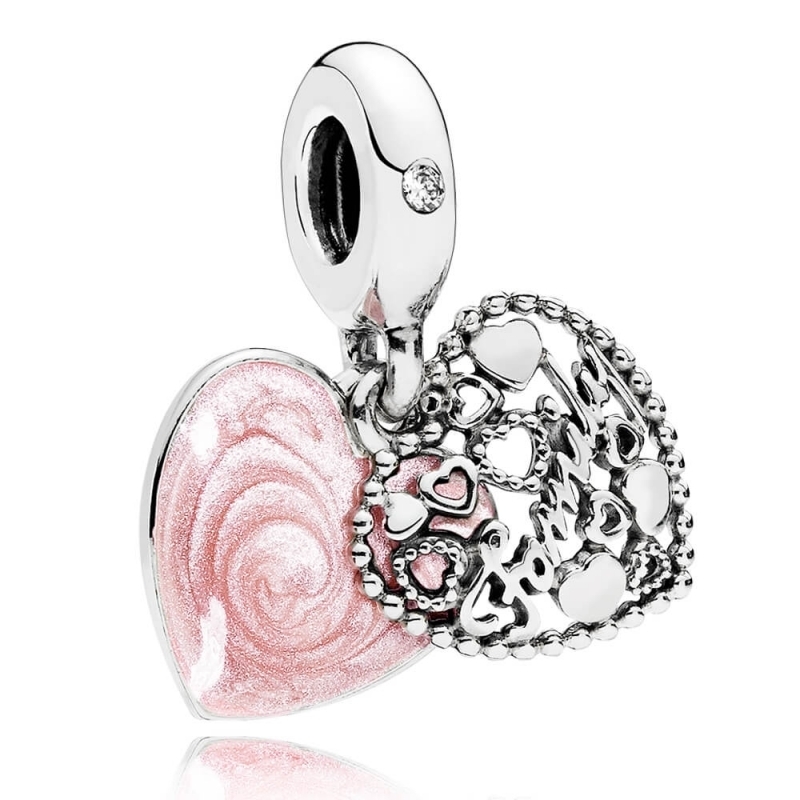 Elegant heart pendant charm in sterling silver with swirling pink enamel and the engraving 'Love makes a Family'. The perfect gift for a cherished family member. Great service throughout. Would highly recommend this company as an official seller of pandora products. Friendly, helpful service and gift arrived on time. Also it was beautifully wrapped.